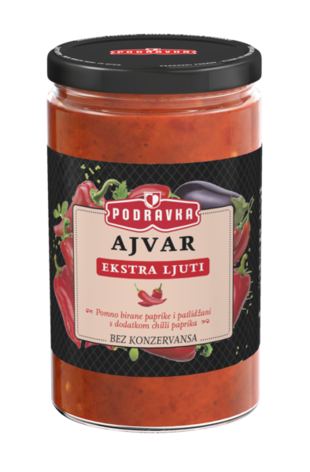 Top quality aubergines, peppers and pepperoni joined together in this chutney of exceptionally creamy texture and intense taste. Without preservatives, seasoned with finely selected combination of garlic, salt, sugar, vinegar and quality vegetable oil. Go ahead, wake up your senses with the power of natural tastes! You can use it in its original form, as a side dish with grilled sandwiches, frankfurters, sausages, or as addition to sauces, stews, soups and the like.